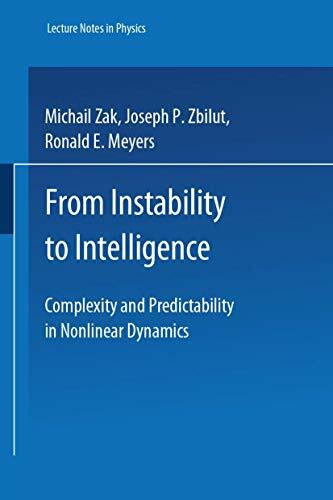 [PDF] From Instability to Intelligence: Complexity and Predictability in Nonlinear Dynamics (Lecture Notes in Physics Monographs) | Free eBooks Download - EBOOKEE! Description: This book deals with predictability and dynamical concepts in biology and physics. The main emphasis is on intrinsic stochasticity caused by the instability of dynamical equations. In particular, the authors present for the first time in book form their concept of terminal dynamics. They demonstrate that instability as an attribute of dynamical models can explain the paradox of irreversibility in thermodynamics, the phenomenon of chaos and turbulence in classical mechanics, and non-deterministic (multi-choice) behavior in biological and social systems. The book addresses researchers as well as students it should also be of interest to philosophers of science. No comments for "[PDF] From Instability to Intelligence: Complexity and Predictability in Nonlinear Dynamics (Lecture Notes in Physics Monographs)".